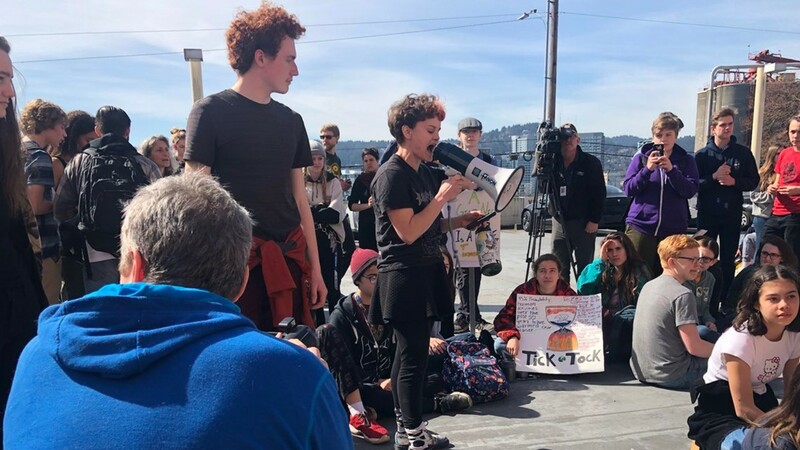 Students, mobilized by word of mouth and social media, skipped class to protest what they see as the failures by their governments to take tough action against climate change. 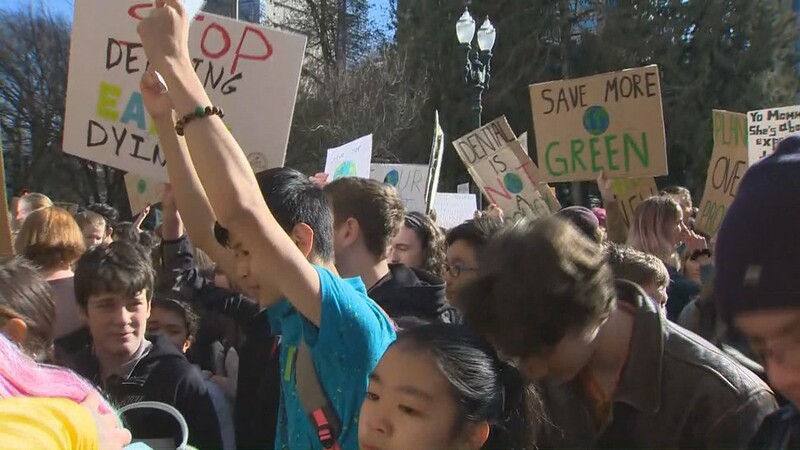 Students who want to bring attention to climate change left their classroom Friday morning for a rally that began outside Portland City Hall. 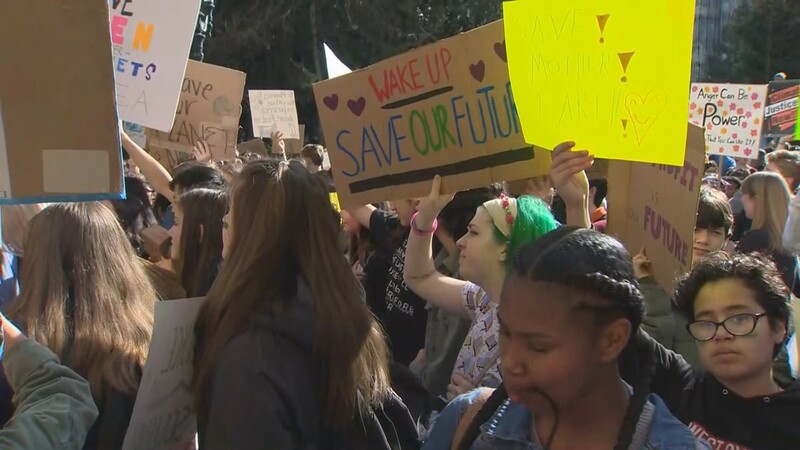 The "Global Climate Strike" started at 11 a.m., with more than 1,000 students leaving campuses citywide, some walking, some taking public transit, to arrive downtown. “There’s so many kids here from multiple different schools. We’re from Lincoln and pretty much every one of us has walked out. I see so many people from different schools here. It’s awesome," said student Sriya Chinnaf. 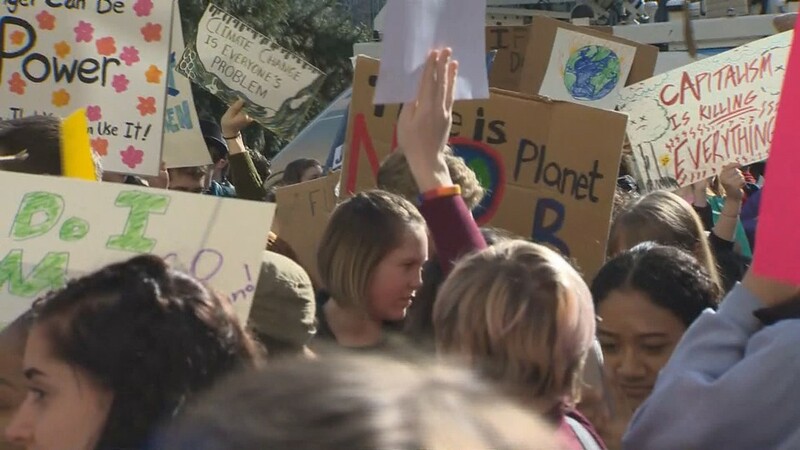 Portland students take part in #ClimateStrike demonstrations outside Portland Public Schools headquarters, demanding that PPS implement a districtwide climate change curriculum. 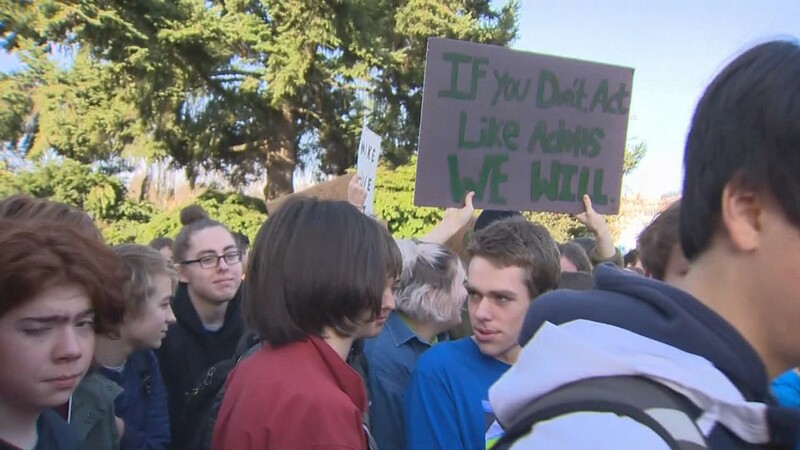 After the rally outside City Hall, students marched in the streets to Salmon Street Springs. 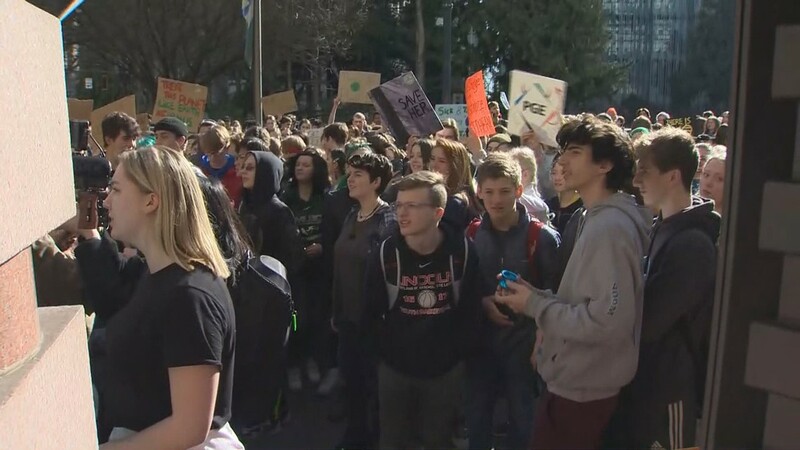 Students then marched along Waterfront Park, crossed the Steel Bridge and rallied at Portland Public Schools headquarters near the Rose Quarter. "We are currently working to make sure science and other curricula includes a more direct approach to climate science. We constantly work to develop curriculum and classroom programs that are relevant and meaningful to students and meet state academic standards. The next step is to determine how it is integrated into the district’s comprehensive core curriculum. 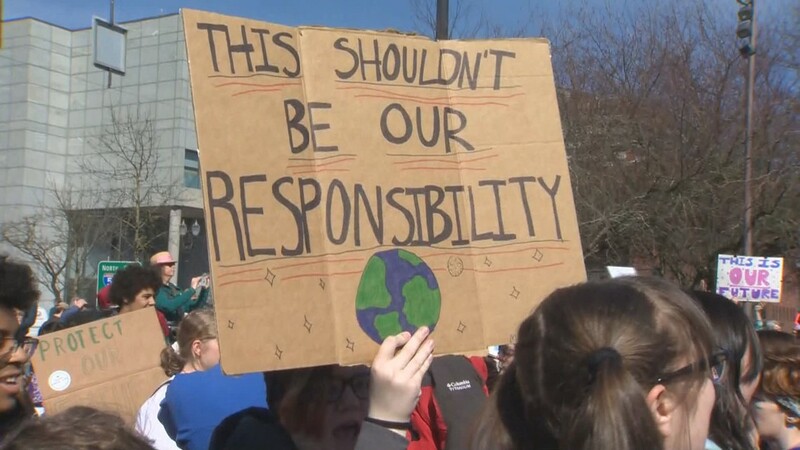 The district believes climate change is a critically important subject, and we are proud of our students for raising this issue,"
“The youth wants change and we need to be respected and we’re standing her and talking to our politicians…that we care about climate change, that this can no longer be ignored because this is a crisis,” said Lincoln High School student Norah Glin. 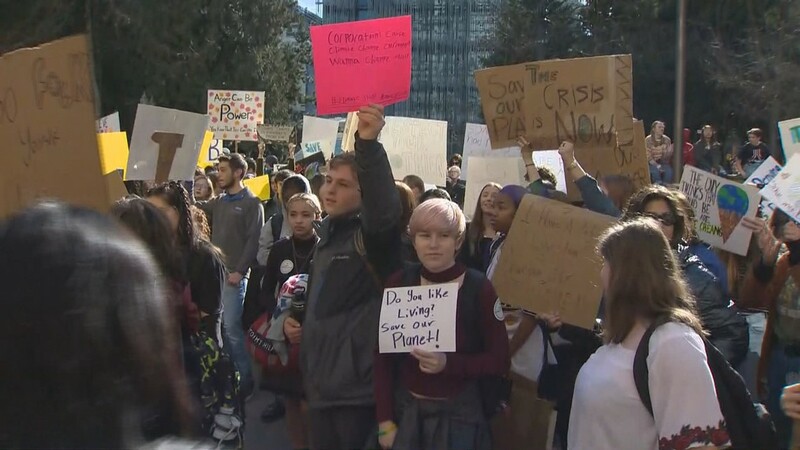 Portland Public Schools encouraged students to return to class after the march. 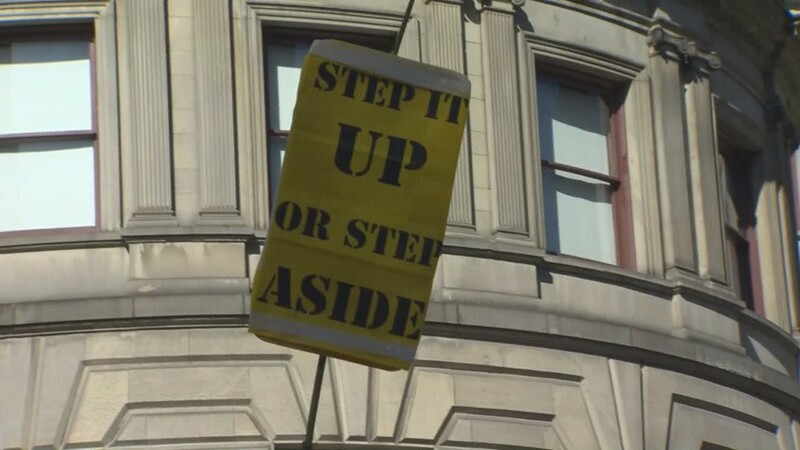 The district said all students would be welcomed back to finish the school day. Students in the suburbs formulated their own plans to reach civic centers. 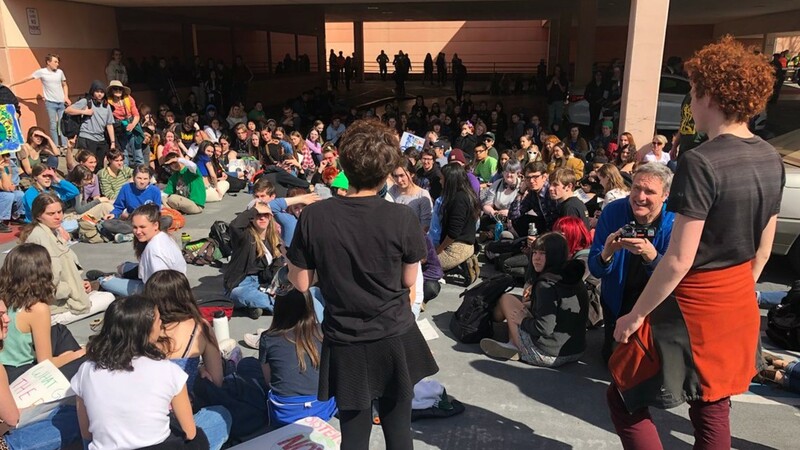 Starting in earlier time zones, Friday's rallies were one of the biggest international actions yet, involving hundreds of thousands of students in more than 100 countries around the globe. 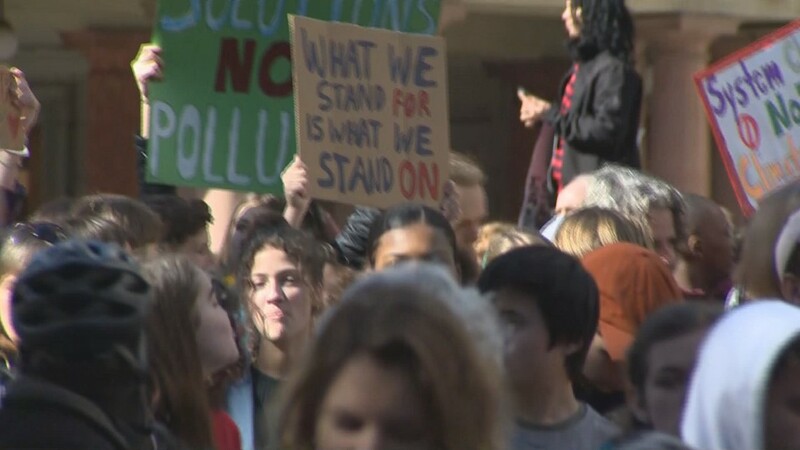 — In Berlin, police said as many as 20,000 protesters, most of them students, gathered in a downtown square, waving signs reading "March now or swim later" and "Climate Protection Report Card: F." They marched through the German capital's government quarter, stopping in front of Chancellor Angela Merkel's office. 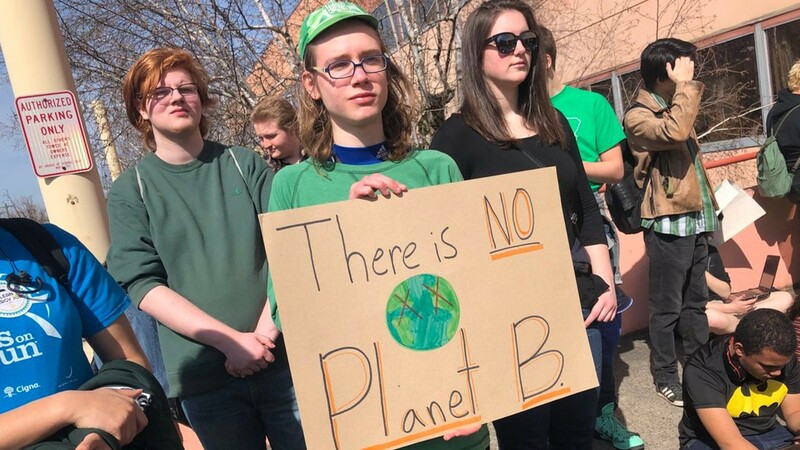 — About 50 students protested in South Africa's capital, Pretoria, chanting "There's No Planet B." 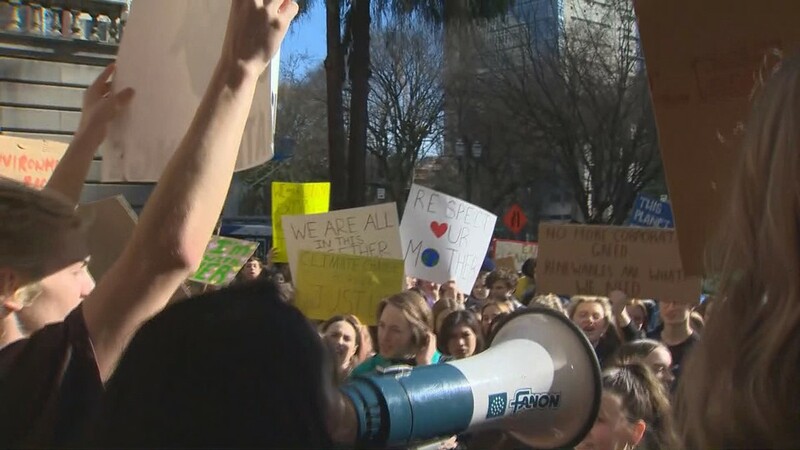 One protester held a sign reading "You'll Miss The Rains Down in Africa." Experts say Africa, with its population of more than 1 billion people, is expected to be hardest hit by global warming even though it contributes least to the greenhouse gas emissions that cause it. 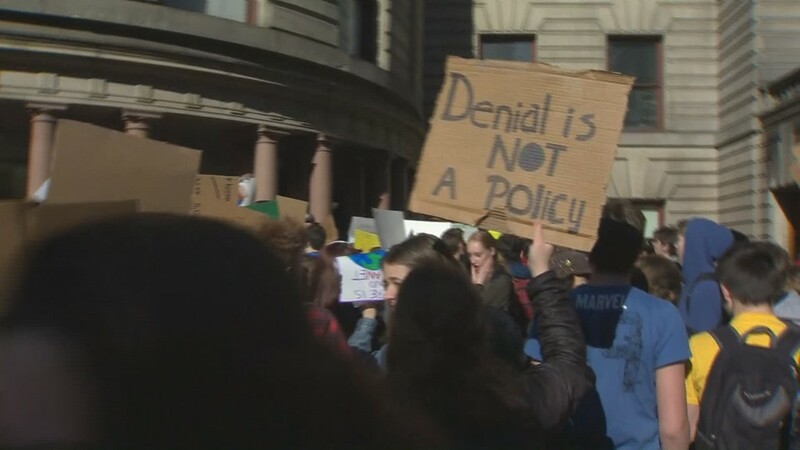 — "Now or Never" was among the signs brandished by enthusiastic teenagers thronging cobblestoned streets around the domed Pantheon building, which rises above the Left Bank in Paris. 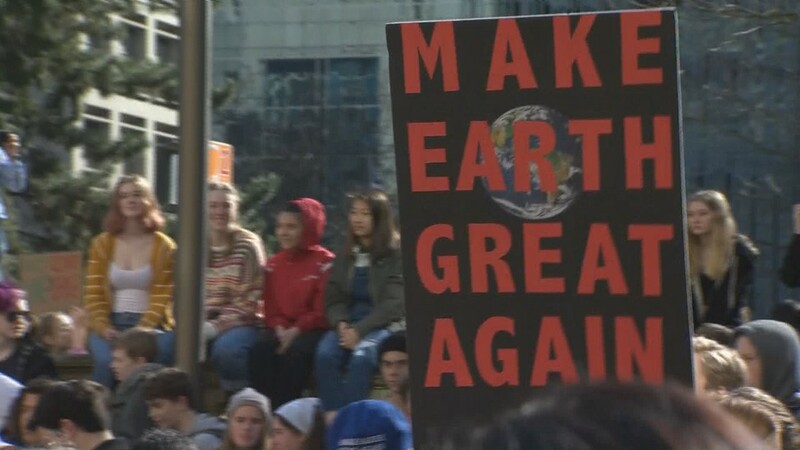 Some protesters criticized French President Emmanuel Macron, who sees himself as the guarantor of the landmark Paris climate accord but is criticized by activists for being too business-friendly and not ambitious enough in efforts to reduce French emissions. 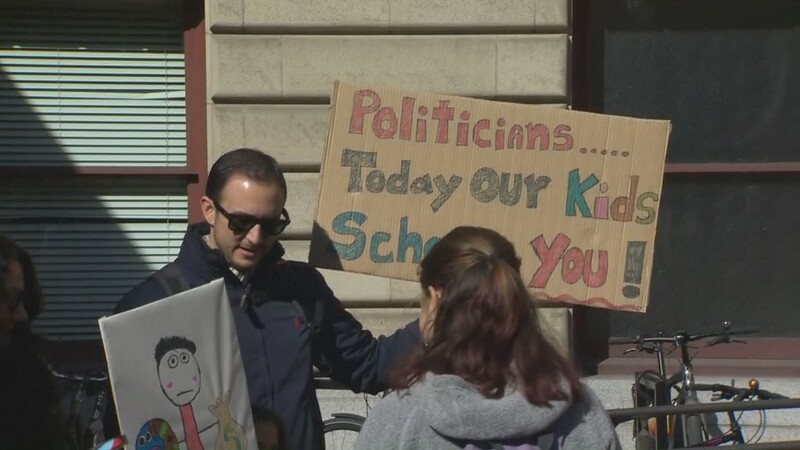 — Police in Vienna said about 10,000 students rallied in the Austrian capital, while in Switzerland a similar number protested in the western city of Lausanne. 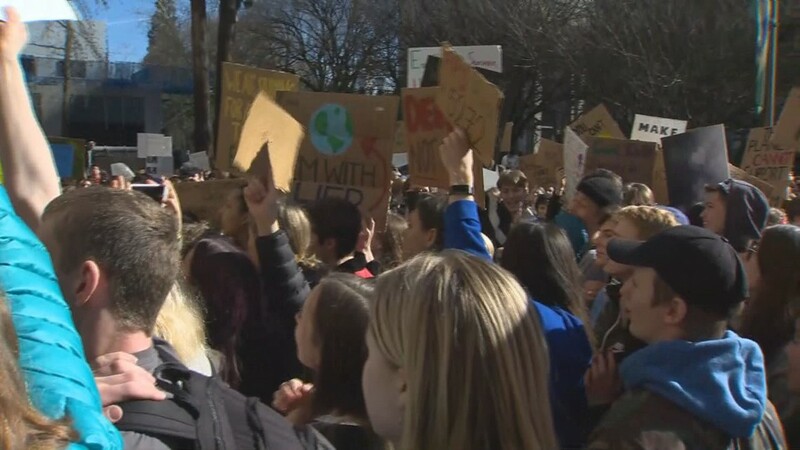 In Helsinki, about 3,000 students rallied in front of Finland's Parliament sporting signs such as: "Dinosaurs thought they had time too!" — Thousands marched through Madrid and more than 50 other Spanish cities, for Spain is vulnerable to rising sea levels and rapid desertification . "A lot happens on social media because you can reach a lot of young people very quickly," she told The Associated Press during the Berlin demonstration. 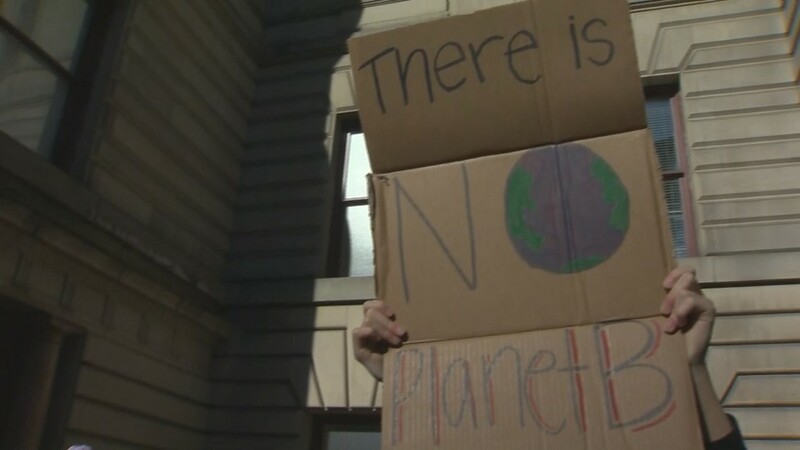 Yet the world has already warmed by 1 degree C since then and is on track for an increase of 4 degrees Celsius, which experts say would have far-reaching consequences for life on the planet.